I’m a huge fan of protein pancakes; they’re a special weekend treat when I have more time in the morning after a good workout session. 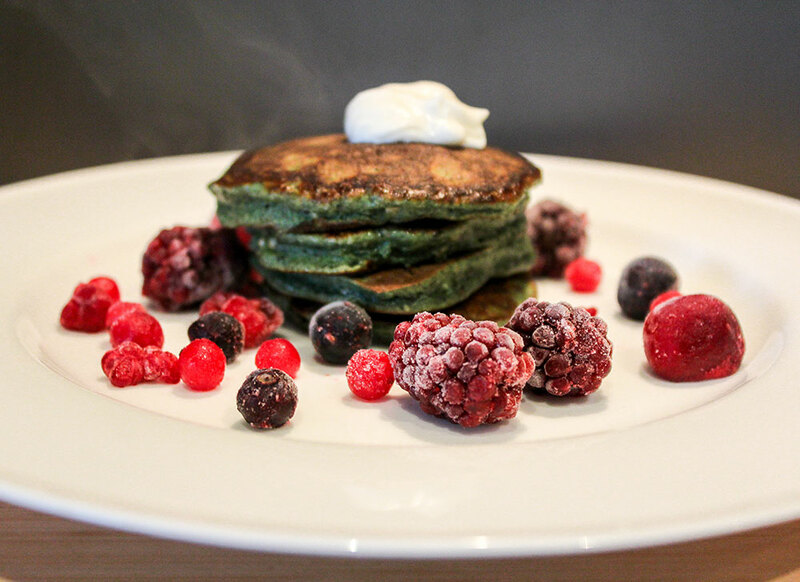 Made from simply four ingredients, these have the wonderful green addition of the nutrient-packed superfood powder, spirulina. Spirulina Spotlight: Containing over 100 nutrients, spirulina is possibly the most complete food known to man, boasting 4 x more absorbable protein than beef, 5 x more beta-carotene than carrots, 18 amino acids and is a rich source of vitamin A, B6 and iron. Not only that, but this blue-green microalgae is an amazing antioxidant thanks to its high chlorophyl content and is ideal for aiding a busy, active lifestyle. 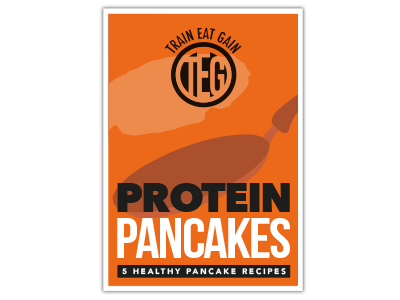 We love to see your versions of our recipes – share your photos and opinions of these easy protein pancakes with us via Twitter (@TrainEatGain) and tag SpamellaB in it too (@SpamellaB). Mash your banana and place in a bowl. 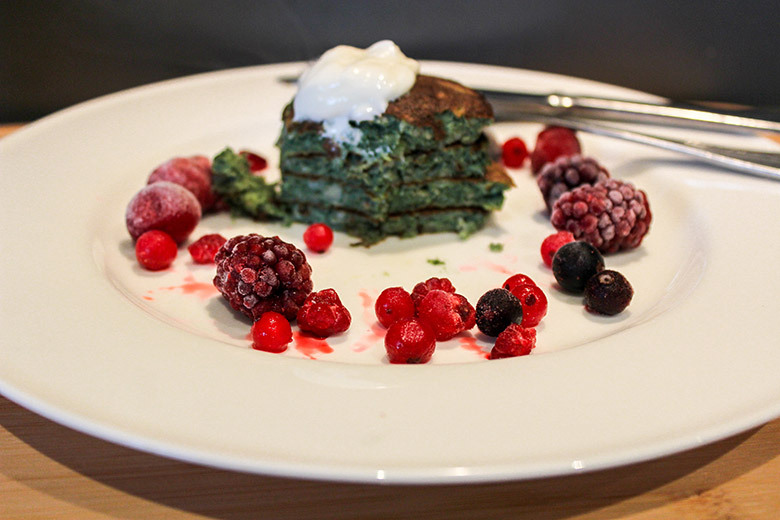 Add the eggs and beat well, then add the protein powder and spirulina. Continue mixing until you have a smooth- ish batter. Tip: Don’t blend this mixture otherwise it will be too runny! Heat some coconut oil in a non-stick frying pan – you only need a little. Add a few spoonfuls at a time (however many you can fit, but not so the mixture runs into the other pancakes!). Cook on a high heat for 2-3 minutes then carefully flip over and cook for the same amount of time. Transfer to a plate and keep warm while you repeat the process until your mixture has been used up; usually you get about 8-10 pancakes. Now serve and enjoy with anything you want – I usually go with berries and natural yogurt, but you could go crazy with peanut butter, cacao nibs or whatever else! 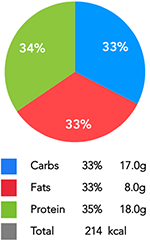 *Note: Macros are given per 4 pancakes assuming this makes 8 spirulina protein pancakes in total.